(by Matt Dolloff, CBS Boston) — The NFL has a ratings problem. The causes are many, and the leading cause is certainly up for debate. But that isn’t stopping the NFL from denying that the problem has some controversial undercurrents – or that the problem exists in the first place. 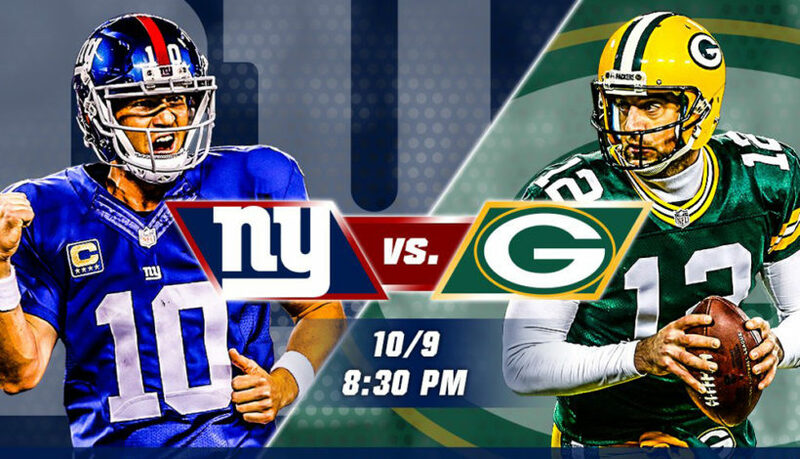 There was a steep drop in viewership for Sunday Night Football between the Green Bay Packers and New York Giants as it mostly went up against the second presidential debate, according to Sports Media Watch. The presidential debate, and the 2016 election season, are no doubt cutting into TV ratings for everyone, not just the NFL. But for an 11 percent overall drop through the first four weeks of 2016 that is likely to deepen after Week 5? Seems more like a convenient excuse. Yet, here’s the NFL sending an internal memo to all 32 teams reassuring them that the ratings are nothing to worry about. “There is no question that unprecedented interest in the Presidential election is impacting primetime ratings,” reads the letter from NFL reps Brian Rolapp and Howard Katz. Curiously, the letter brings up the effect that the backlash over the growing national anthem protests among players is having on the ratings, which they dismissed. In all seriousness, the league itself may have no evidence, but I certainly do … from the hundreds of fans who…told me they stopped watching the NFL because they were sick of the anthem protests and the injection of politics into NFL games in the first place. Is the anthem protest backlash the only cause of the ratings decline? No. It is most certainly a [combination] of a lot of different issues. But to simply deny that there is a segment of the ever-crucial 18-49 demographic that saw the anthem protests as a “last straw” kind of moment that made them turn the channel on the NFL’s diminished on-field product is to demonstrate that you are out-of-touch with your own customers. A chunk of them, anyway. The Sporting News reported last Thursday that the “Kaepernick Effect” is actually starting to hit the league in the wallets. The four major NFL broadcast networks – CBS, FOX, NBC, and ESPN – will pay about $5 billion per year for rights to broadcast games through 2021, yet sources told The Sporting News that those networks are actually starting to give some money back to advertisers with what are commonly known as “make-good” deals. I feel like a broken record saying this, but a loss of ad revenue is one of the only ways to spring the NFL into action if you want to [cause] any kind of change. There’s no question that the games themselves are less watchable than in recent seasons with the lack of star power, but that’s no excuse for a Sunday Night Football game that featured two Super Bowl-winning quarterbacks (Aaron Rodgers, Eli Manning) and one of the league’s most dynamic wide receivers who is also a lightning rod for controversy (Odell Beckham Jr.). The presence of the election will inevitably cut into the numbers for every primetime program, but most NFL viewers tune in to escape politics – are they changing the channel for … politics? And does this mean that the NFL is predicting a big ratings spike the Sunday after Election Day? If that doesn’t happen, then what will they say? The NFL allowed players to exercise their freedom of speech rights by protesting the national anthem, fans are in turn exercising their same rights by changing the channel, and yet the league continues to deny that the boycotts over the anthem protests are having any effect on the ratings. Is it the only cause of the 11 percent (and growing) decline? No. But it’s one of the causes, a significant one, and one that could be permanent if the league continues to sweep the issue under the rug. This is not the first season that the NFL has had to deal with a watered-down product, alternatives to cable subscriptions, or even an election year. The anthem protests are the only variable that did not exist before this season, yet the league is trying to tell you it’s a non-factor? Even if the backlash is not a big-enough factor for an 11-percent drop in the NFL ratings, it’s a factor. An escapist-entertainment league wouldn’t let its own fans escape on Sundays, and it’s costing them. 1. What is the main idea of CBS sports columnist Matt Dolloff’s commentary? 2. What does the NFL organization give as the reason for the steep drop in Sunday and Monday Night Football viewership this season? 3. For what reasons does Mr. Dolloff disagree? Do you agree with his assertion? (Do you think the NFL is out of touch and/or in denial about fans’ oppostion to players protesting the national anthem?) Explain your answer. a) Do you agree with Dolloff’s assertion that most NFL viewers tune in to escape politics? Explain your answer. b) Do you think there will be a big increase in viewership the Sunday after Election Day? Explain your answer.